Green driving not only reduces CO2 and the damage your driving causes to the environment, it can save you a good deal of money; you will use less fuel and your car will need less maintenance work. Green driving also reduces the amount of road accidents and levels of driver stress; green drivers are safer, happier and wealthier drivers! You can download our poster with green driving tips to make you car more carbon friendly, by clicking here. Buy nearly new. Try not to buy a new car unless you absolutely have to. Buy nearly new and you will save money and benefit from the fact that newer vehicles pollute less and tend to be more environmentally efficient. Buy infrequently as the second-hand car market is very imperfect. It is best to choose a car where you know its history. It is even economic to spend more repairing a vehicle than its market value. Reliability is the key. Once a vehicle becomes unreliable sell it. You can protect yourself against unexpected repair bills by buying a car warranty. 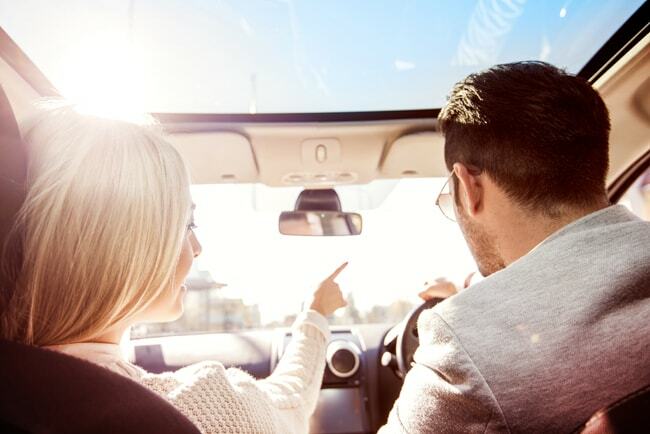 The ETA offers breakdown cover with the option of auto repair – a warranty that pays up to £500 towards the cost of parts and labour following a breakdown attended to by them. Size is important. Buy as small as you can for your day to day needs. You may decide you need a big car because you have relatives that live over 400 miles away. If you only visit them twice a year however, and most of your driving is done in a 50-mile radius a big car may be inefficient. By buying a smaller car for the majority of driving and renting a bigger car for the long trips you will save money. Consider sharing a car. Many people now have an informal arrangement with friends or neighbours, but Car Clubs offer a slick, money-saving and green alternative to private car ownership. If you drive less than 6,000 miles per year it is claimed a car club could save you up to £3,500 a year. Many people don’t notice the true costs of running a car, but when you add up the cost of tax, MOT, fuel, servicing, repairs, depreciation and parking you could be looking at over a hundred pounds a week. Buy a fuel-efficient car. The fuel economy of similar-sized cars using the same type of fuel can vary by as much as 45%. Petrol or diesel? Both fuels have disadvantages. Petrol engines emit more carbon monoxide and carbon dioxide and are less efficient, however diesel engines produce more nitrogen oxides, black smoke and particles, all of which are known to contribute towards air pollution. Paying some attention to your car before you set off on a journey can help save money and reduce pollution. Weight. Reduce weight, and fuel consumption, by simply removing unnecessary items from your car that do not need to be there for a particular journey. These can include buggies, golf clubs, tools, footwear and so on. Remove roof racks. The wind resistance dramatically increases fuel consumption. Tyre pressure. Ensure that you have the correct tyre pressure. Every 6psi the tyre is under-inflated the fuel consumption increases by 1%. Maintain your car. Check that your engine is properly tuned as this improves performance and limits fuel consumption. Refuelling. Avoid overfilling the tank as spilled fuel evaporates and releases harmful emissions. Check your windows and lights. Ensuring that your windows are clean and your lights are working will make your journey safer. Making small changes to your driving style, and how you use your car while driving, can make big differences to your environmental impact. Where possible drive with the windows up to reduce drag and make your fuel consumption more efficient. Try not to beat the lights. The chances are that if you hit a red light and then try to beat all the following lights, you will rush but miss them anyway. If you drive at a more sedate speed you will usually find that by the time you reach the next light it will have turned green again. Keep your speed down as driving at 50-60 mph means your emissions will be lowest. Driving over 70mph will rapidly increase your emissions. It can cost you up to 25% more in fuel to drive at 70mph compared to 50mph. Control your speed. Speed limits are there to be observed, but did you know that travelling at less than 15mph creates the most pollution? As your speed increases up to 60mph, your level of pollution decreases. Travelling over 60mph increases your level of pollution again. Careful motorway driving will improve safety and traffic flow. The concertina effect caused by one motorist braking sharply often results in traffic slowing to a near stop due to the delayed reaction of drivers behind. If we try to observe the car three or four ahead and give ourselves some distance from the car in front we can anticipate and judge the necessary speed. When you see a car brake up ahead, simply remove your foot from the accelerator. By the time you get close to the car in front the chances are that they will have speeded up. You can almost make yourself responsible for stopping the concertina. A well-rested driver is an alert driver and has better control. Footwear that is light and less bulky ensures a sensitive control over the accelerator and reduces emissions. You may wish to consider driving without shoes or purchasing driving shoes. Have your eyesight tested regularly. If you wear glasses or contact lenses, ensure that they are in use or to hand before you start driving. Be aware that if you have any problem with your eyesight, you must inform the DVLA.